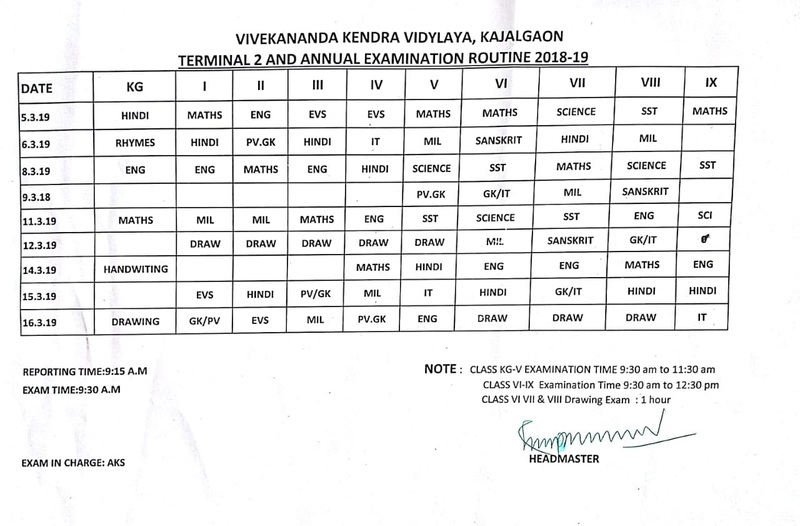 You are here by informed that Terminal Examination-II(Class KG-IX) will start from 5.3.2019 to 16.3.2019. 1.Workshop on"Fun Maths and Mind Game"was conducted on 30.8.2018. 2.Sanskrit Divas was observed on 27.8.2018. 3.Workshop on 'Prevention of parents to child transmission of HIV' was conducted on 24.11.2018 for class IX and X students. 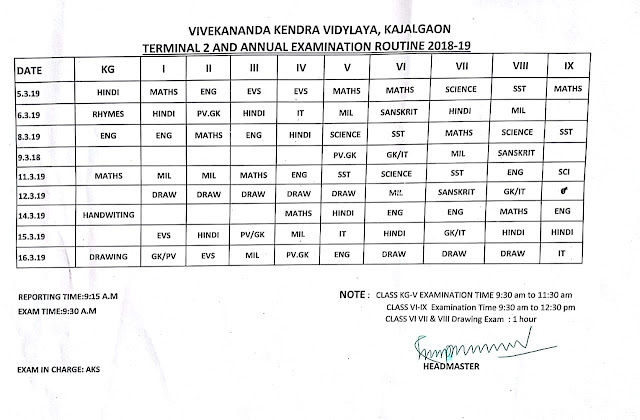 Copyright@2017Vivekananda kendra vidyalaya,Kajalgoan. Picture Window theme. Powered by Blogger.